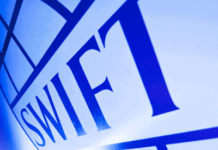 Swift is a provider of secure message platform for financial institutions mainly for banks. 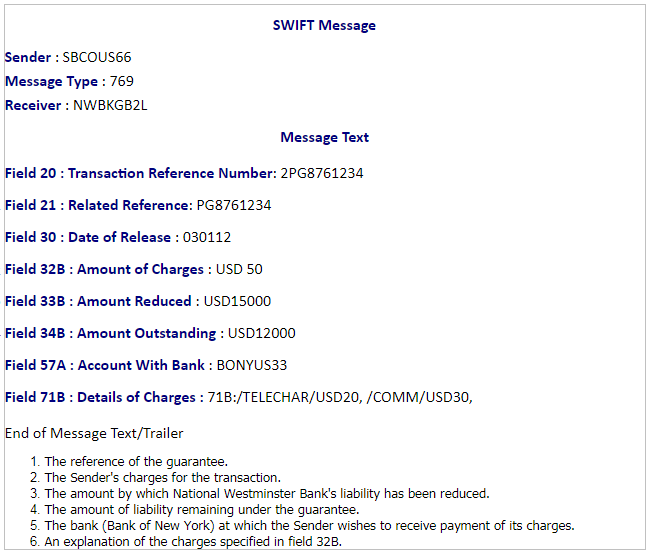 Swift messages are being sent and received by banks in encrypted forms. As a result swift messages are accepted as a valid and reliable way of communication between banks. 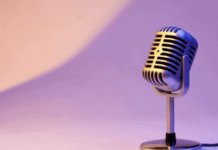 For example, an issuing bank sends a swift message to an advising bank in order to inform issuance of a documentary credit. Similarly the advising bank sends its acknowledgement via a swift message. 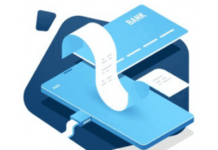 Swift messages play a key role not only in letters of credit but also other payment methods in international trade such as cash in advance payment, documentary collections, open accounts and bank payment obligations. What is MT 769 Advice of Reduction or Release? This message is sent by a bank which has received a guarantee to the bank which has issued the guarantee. It may also be sent by a bank which has been requested to issue a guarantee to the bank which requested the issuance of the guarantee. This message may also be used for Standby Letters of Credit. It is used to advise the Receiver that it has been released of all liability for the amount specified in field 33B or field 39C. The Sender’s charges may also be accounted for in this message. C1 Either field 25 or 57a, but not both, may be present. C2 Either field 33B or field 39C, but not both, must be present. C3 If field 32D is present, then field 57a must not be present. C4 If field 71B is present, then field 32a must also be present. C5 The currency code in the amount fields 33B and 34B must be the same. Narrative: On 12 January 2003, Swiss Bank Corporation, San Francisco, advises National Westminster Bank Plc, London (reference 2PG8761234), that it has been released of all liability for an amount of US Dollars 15,000. The outstanding obligation under the guarantee is US Dollars 12,000. Swiss Bank Corporation would like to receive payment of its charges of US Dollars 50 (being cable costs of USD 20 and commission charges of USD 30) at its account at Bank of New York, New York.